In his much-anticipated debut novel, Hank Green – co-creator of Crash Course, Vlogbrothers and SciShow – spins a sweeping, cinematic tale about a young woman who becomes an overnight celebrity before realizing she’s part of something bigger, and stranger, than anyone could have possibly imagined. If you came across AN ABSOLUTELY REMARKABLE THING at 3 a.m. in New York City . . . Would you keep walking? Or do the one thing that would change your life forever? The Carls just appeared. Coming home from work at three a.m., twenty-three-year-old April May stumbles across a giant sculpture. Delighted by its appearance and craftsmanship – like a ten-foot-tall Transformer wearing a suit of samurai armour – April and her friend Andy make a video with it, which Andy uploads to YouTube. The next day April wakes up to a viral video and a new life. News quickly spreads that there are Carls in dozens of cities around the world – everywhere from Beijing to Buenos Aires – and April, as their first documentarian, finds herself at the centre of an intense international media spotlight. 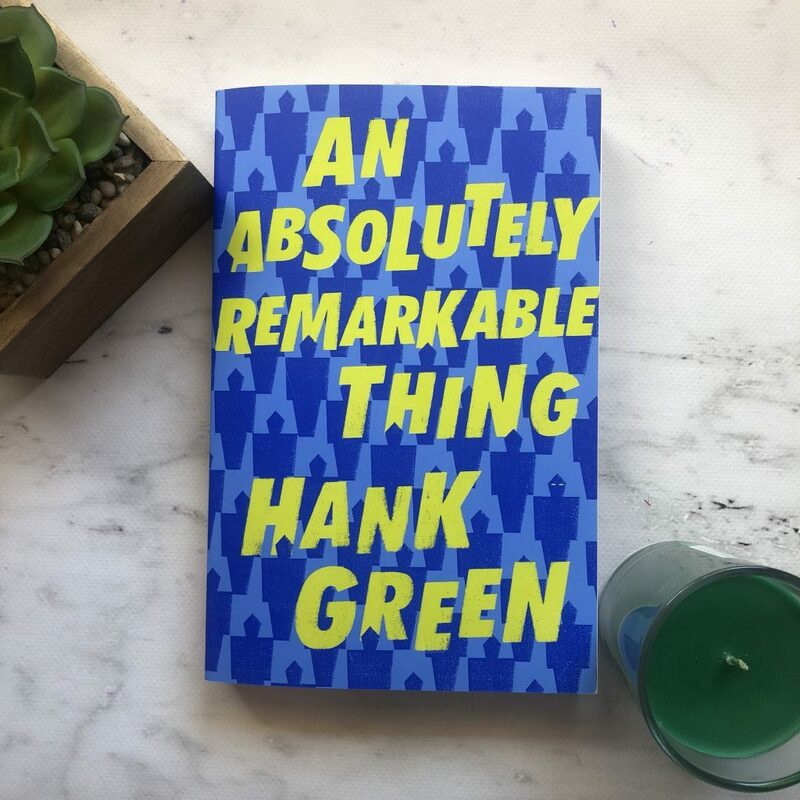 An Absolutely Remarkable Thing is a debut novel by American author Hank Green, a quirky and strange tale about fame, social media, obsession and radicalisation. After April discovers a giant metal statue in New York City, she films it and uploads the video online. What she doesn’t know is that these strange statues have appeared all over the world at exactly the same time, with no footage available showing how they got there and who erected them. April becomes famous; everyone is fascinated by these statues and what they mean, and they feel like April has the answers to all their questions. April is a very self-centred person, and at times she’s actually awful. And she knows it. She says horrible things to her girlfriend and treats her terribly, but then uses her girlfriend and her intelligence when she needs help solving some of the alien puzzles throughout the book. I kept reading this book because of the plot, not because of the characters. 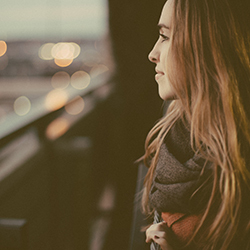 An Absolutely Remarkable Thing grapples with the unpredictability of social media and viral fame, and how that can change a person or simply highlight their true personality. The book also — in a light-hearted, bizarre way — highlights many of society’s flaws. People react badly when they fear something, or when they don’t understand something, and that can harm others or have a domino effect on the rest of civilisation. This is a very weird book, but in a way, I enjoyed it. I kept reading. I found myself interested in the Carls and the puzzles and quizzes that filled the book, and I wanted to know what the Dreams meant. I don’t think this book is for everyone. At the end, there isn’t much of a resolution and so I think a lot of people will find themselves disappointed. But I think seasoned readers, particularly readers who like the quirkiness of some fiction, will find this book quite fun.